and protect our lakes and streams. Vision: Address priority areas in the watershed that are known to have elevated sediment and or nutrient losses to the waterways as a result of soil erosion and / or nutrient runoff so that water quality is protected for the long term and soil health is sustained at a high level. Mission: Provide expertise and guidance for the farming community in the Oconomowoc Watershed so that water quality and soil health is protected for the long term. protecting land and water resources. Water Friendly Farm Program – Identifies farmers who consistently utilize Best Management Practices within their farm operations to improve local water quality. 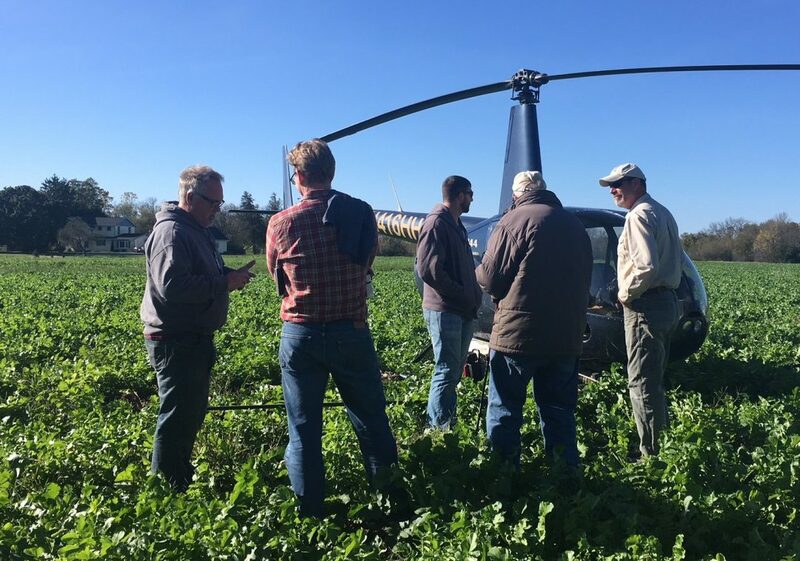 Aerial Cover Crop Seeding Program – In 2018, the group completed its second aerial cover crop planting program. Oats, barley, wheat and other custom blends were flown into standing corn and soy beans.